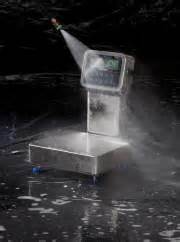 We recognize that good hygiene is vital to business success in the food industry. In line with USDA and other sanitation and hygiene standards, this NSF certified piece of equipment guarantees hygiene safety at all times. The ZQ375 has been designed for ease of cleaning. A smooth pickled and polished surface finish helps to stop microorganisms from growing on the surface of the scale. Curved corners and the easy-to-remove cover make thorough cleaning simple, fast and effective, minimizing food trap areas where bacteria could thrive. All threads are hygienically covered with domed nuts to aid and speed up cleaning processes.